Create an immaculate canvas for your sparkly make up with this innovative Glitter Primer. Designed to be used with NYX Professional Makeup Face & Body Glitter, it keeps your sparkle in place and ensures it looks striking as opposed to sloppy. The light and creamy formula holds the glitter like a magnet, ensuring you won’t be finding random flecks of sparkle here there and everywhere for days to come. 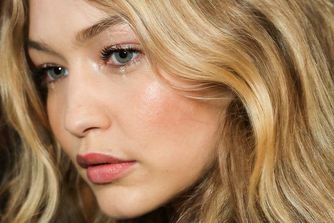 It’s the perfect way to sport a glittery smoky eye or pretty twinkly cheekbones with confidence. This easy-to-use and lightweight primer is the ultimate partner for your glitter make up. It holds those pesky particles in place so you can let you make up sparkle with minimal stress. 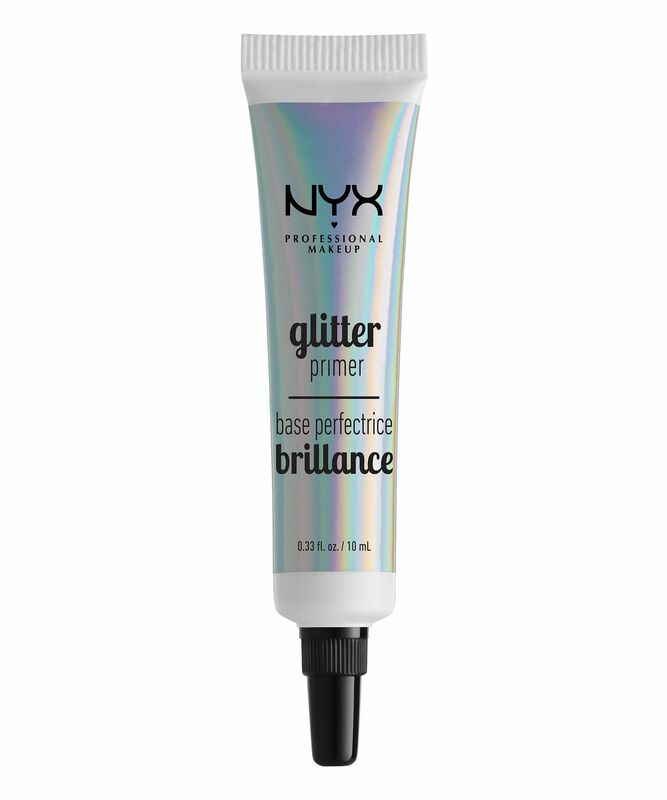 With glowing reviews from NYX Professional Makeup customers (who dub it “glitter glue”), it feels supremely comfortable to wear too. Essential for big nights out and festival season, we advise stocking up now. Apply a fine layer to the skin before following up with glitter. Water/Aqua/Eau, Beeswax/Cera Alba/Cire d’Abeille, Stearic Acid, Octyldodecanol, PVP, Butyrospermum Parkii (Shea) Butter, Butylene Glycol, Acrylates/Octylacrylamide Copolymer, Silica, Aminomethyl Propanol, Tocopheryl Acetate, Jojoba Esters, Tocopherol, Caprylyl Glycol, Phenoxyethanol. MAY CONTAIN / PEUT CONTENIR (+/-): Mica, Titanium Dioxide (CI 77891), Iron Oxides (CI 77491, 77492, 77499). I only use the tiniest bit and it makes all my glitter stay all day and all night, it prevents transfers and applies smoothly. It is amazing, I can’t find any faults. Purchased this primer because it was recommended for hooded eyes as something that does a good job at preventing transfer. A little went a long way, and blending over it was easy. I'm very satisfied with it as it indeed holds up and makes eyeshadow stay in place. It handles oil pretty well - I got another hour or two more wear time than usual.